On Sale Now! 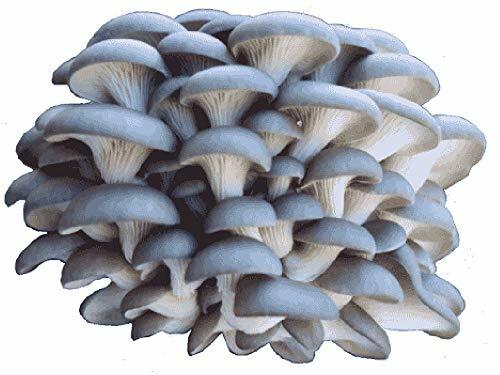 Save 6% on the Organic Blue Oyster Mushroom Growing Kit by GMHP Gourmet Mushroom Products at Black Ant King Plus. MPN: BMP. Hurry! Limited time offer. Offer valid only while supplies last. Certified Organic: Pleutotus oysteratus Mushroom Spawn Used as Seed for These Kits Certified Organic by Quality Assurance International (QAI). Photos on left: Main: Package you will receive. Next: Mushrooms 2 days after they start. Then: Mushrooms 3 days after they start. Bottom: Blue Oyster ready to harvest. First crop of mushrooms in as little as 7-10 days, but may take longer. Grow mushrooms indoors at room temperature on a coffee table, counter, or desk: humidity tent included. If you have any questions about this product by GMHP Gourmet Mushroom Products, contact us by completing and submitting the form below. If you are looking for a specif part number, please include it with your message.